Crawford, Murphy & Tilly (CMT) led the planning, environmental, funding justification, airspace/navaids, and program administration efforts for the $32 million program to reconstruct the airport’s primary runway and midfield intersection. 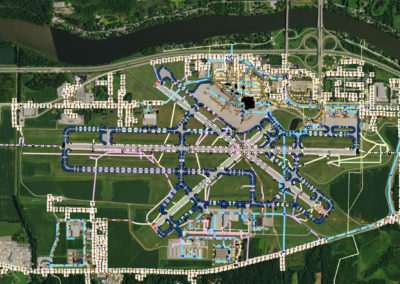 A triple runway intersection at the midpoint of each runway posed a significant obstacle in providing a long-term redevelopment solution that would allow for continuous airfield operations. Faced with an urgent project schedule, we provided expedited planning and environmental clearance phases that evaluated the engineering, operational, funding, environmental, and safety elements of numerous development solutions. Options considered included extensions to existing runways, construction of new runways, use of fast-track construction methods, and alternative airfield usage. CMT’s project planning and formulation efforts established a preferred construction program that was viewed favorably by airport stakeholders and the various funding and resources agencies. The preferred program also utilized aggressive and layered funding solutions to minimize the overall project timeline from both a funding and construction perspectives. The program ultimately was completed on budget, ahead of schedule, and with minimal service disruption. The FAA acknowledged it as an effective model for operational safety and user coordination. Development of a temporary runway to be used as long-term taxiway. One of the first Safety Risk Management Documents (SRMD) in the nation for an airfield construction project. Cost-benefit analysis for use of discretionary funds over $5 million. Funding coordination with local, regional and national FAA personnel to obtain over $15 million in discretionary funds. Extensive coordination program with airlines and other airport users. Extensive coordination program with project design and construction teams. 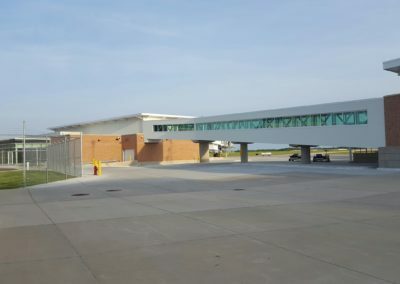 CMT has worked at the Quad City International Airport since 2003, providing planning, environmental, engineering, construction, and program management services. Many of our services have been provided on an on-call basis to assist airport staff through the daily challenges of airport development, operation and maintenance.